Port Washington drivers are flocking to the new Acura TLX, and the A-SPEC package brings something special to the table, designed with Acura performance and swiftness in mind. The 3.5L V6 engine lets you move through Roslyn thanks to 290 hp and 267 lb-ft of torque. With sport details inspired by the Acura NSX, the excitement starts once you step into the cabin and take a seat. Inside you’ll appreciate Milano leather sport seating, a 12-way power driver’s seat, and heated front seats, and the TLX A-SPEC exterior is sure to turn heads with its19-inch Shark Gray Split Five-Spoke wheels, piano-black rear spoiler and diffuser, dual-exhaust, and dark chrome accents. Find your TLX A-SPEC below. Manhasset drivers love the Acura packages that are available, and the new Acura TLX A-SPEC package is making a name for itself. 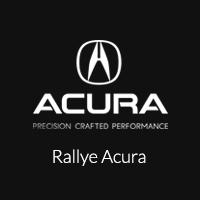 Visit Rallye Acura today at 1750 Northern Boulevard in Roslyn, NY, or contact us at 516-508-9147 today.